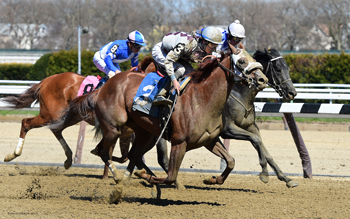 On the same day also at Aqueduct, SACKATOGA's LOTTA GOLD made his first start running 5th coming wide and passing tiring foes. 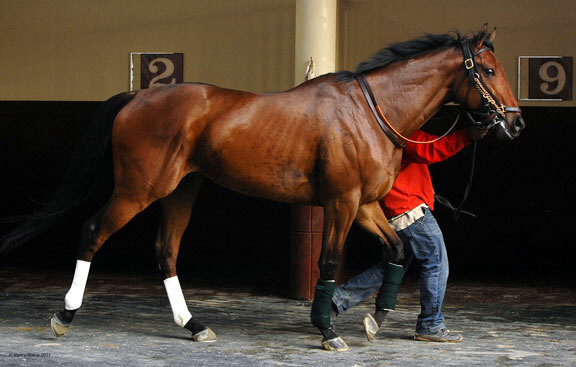 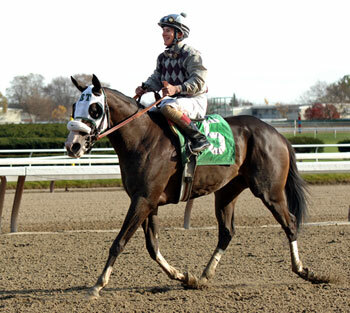 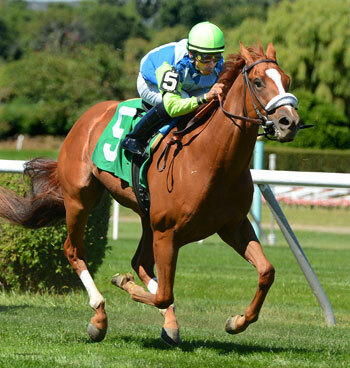 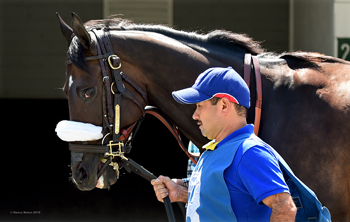 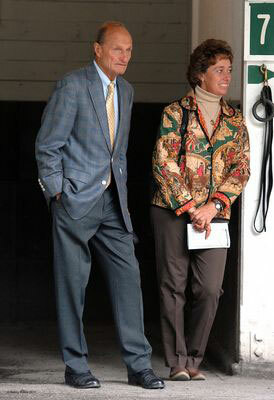 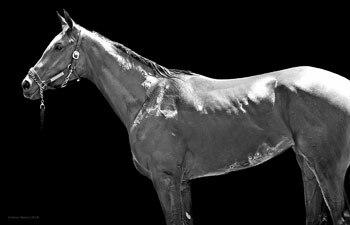 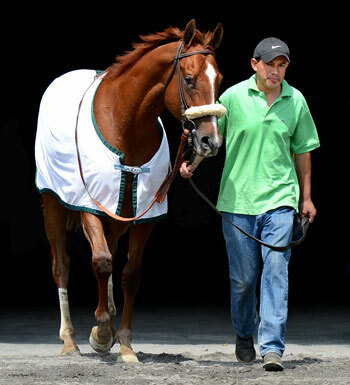 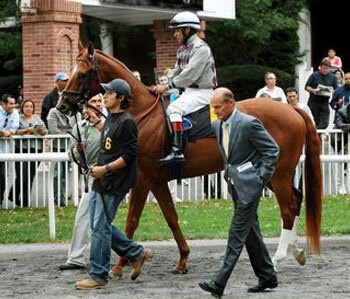 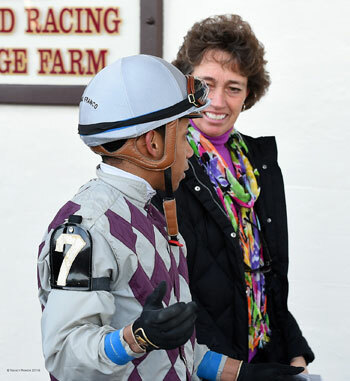 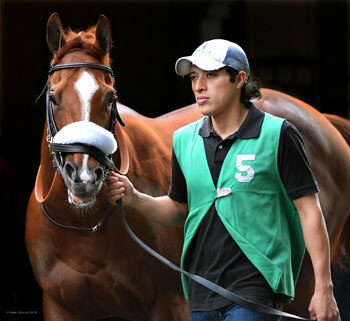 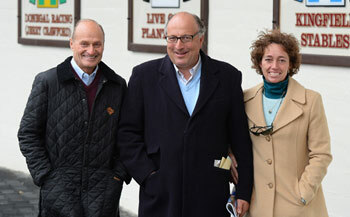 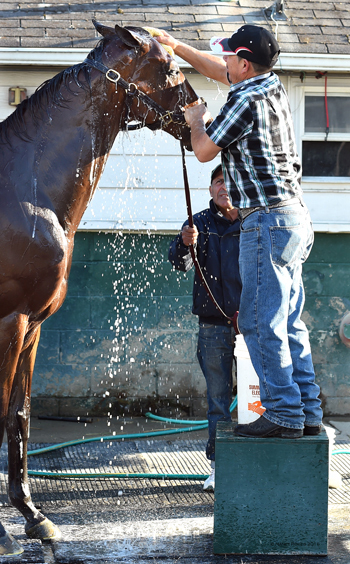 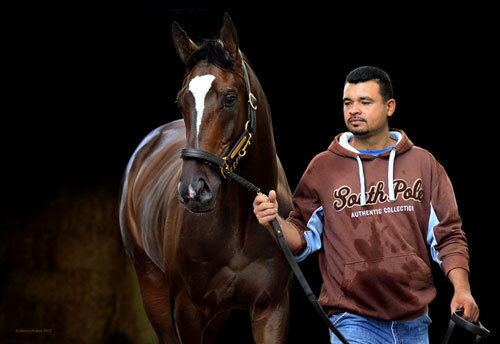 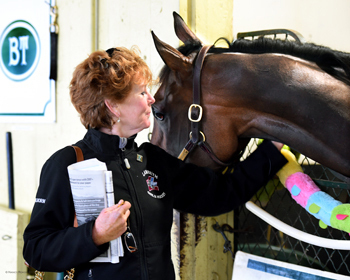 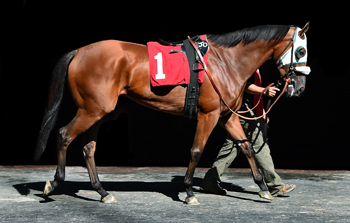 11/20/15 - Charles Fipke's Verve's Tale ran second in a MSW at Aqueduct in her second start. 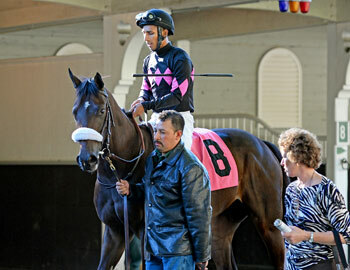 She was third in her first start, so stay tuned! 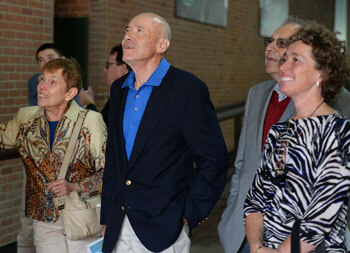 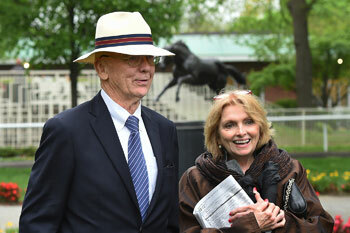 Owners David and Julia Hilborn drove down from London, Ontario to visit. 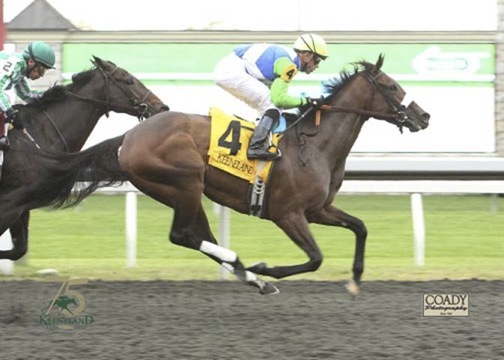 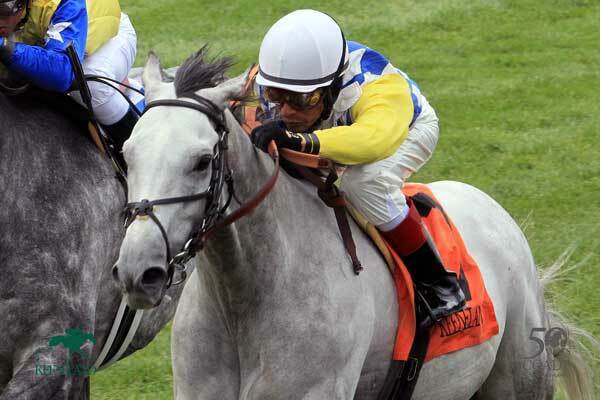 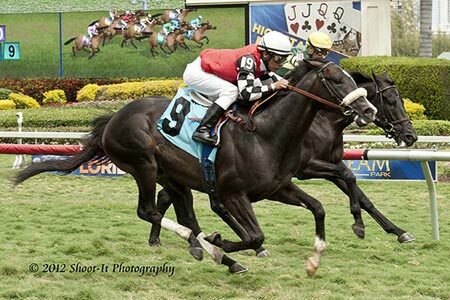 10/12/13 - Confrontation remains undefeated winning his third race in a row! 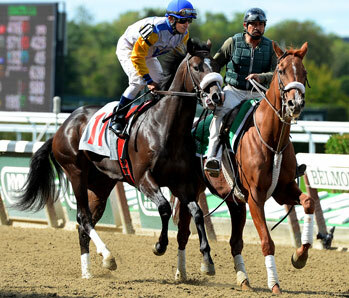 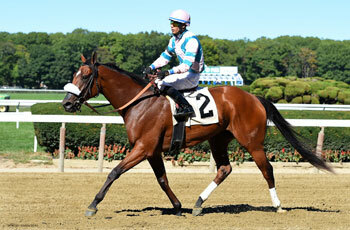 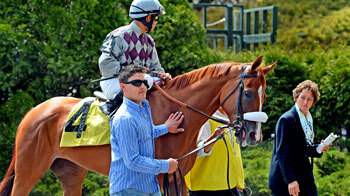 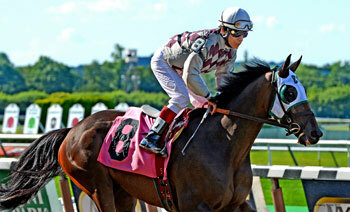 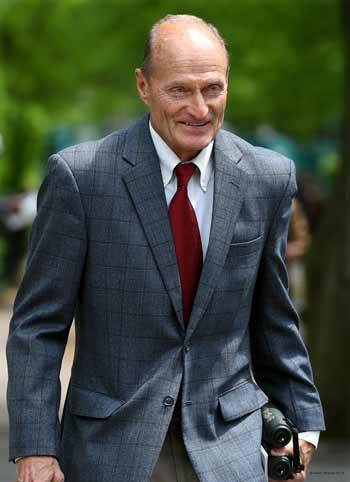 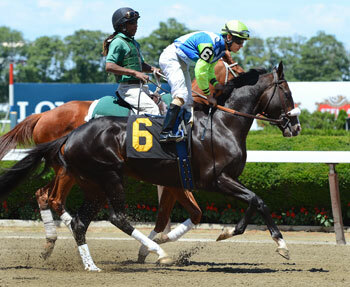 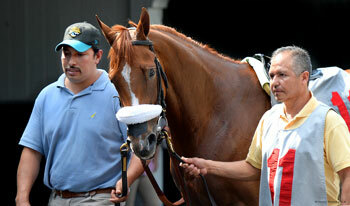 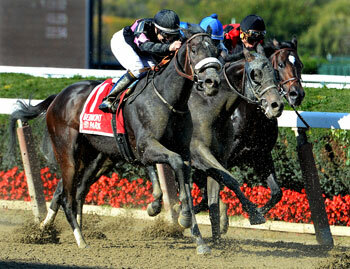 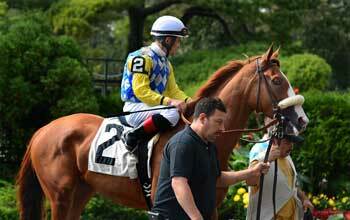 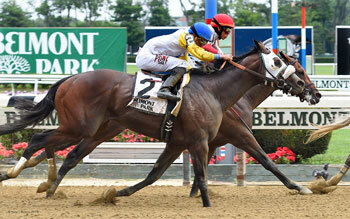 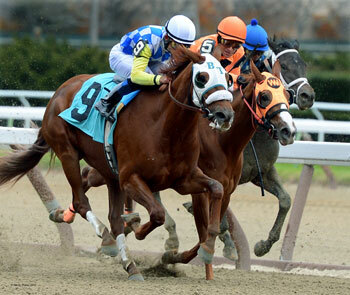 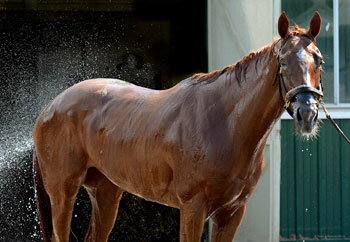 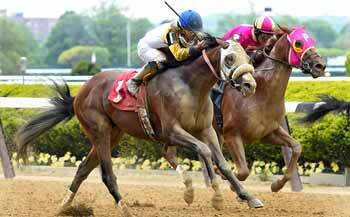 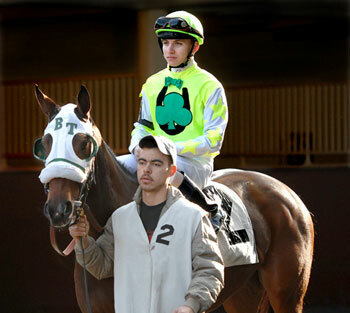 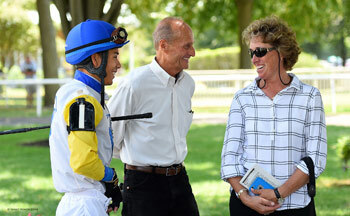 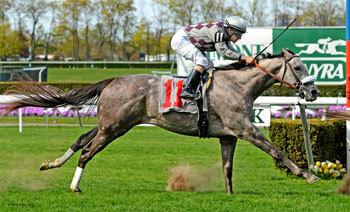 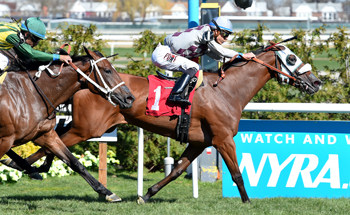 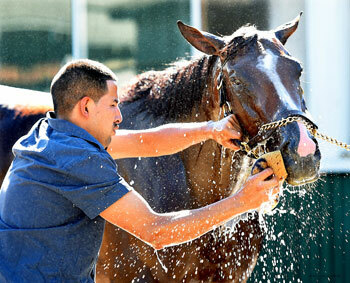 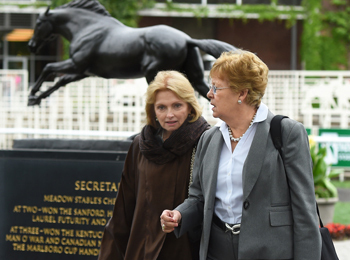 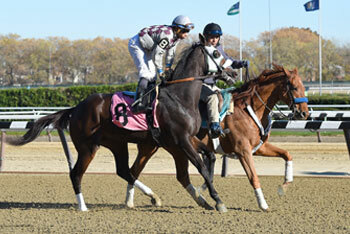 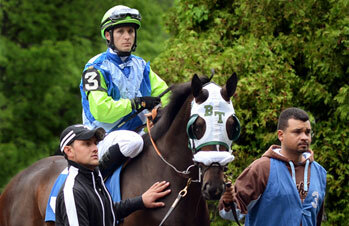 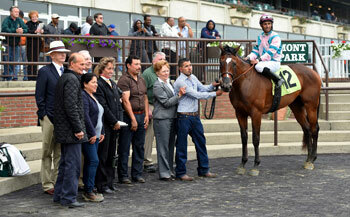 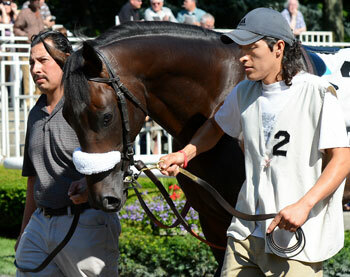 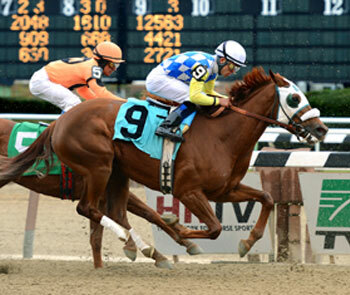 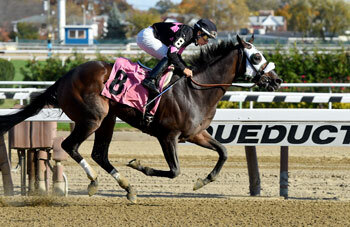 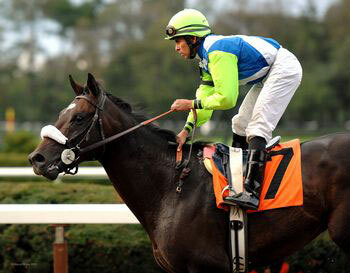 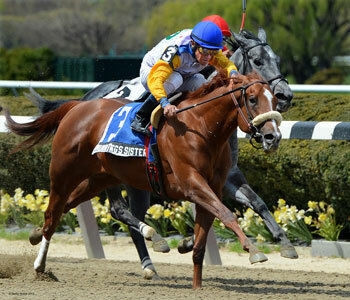 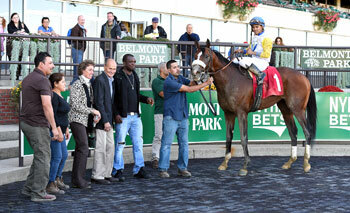 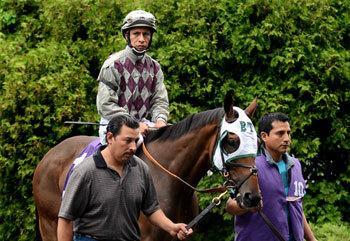 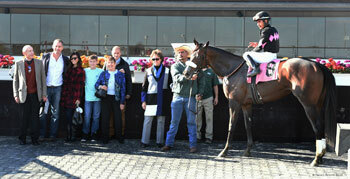 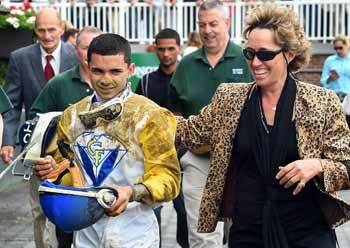 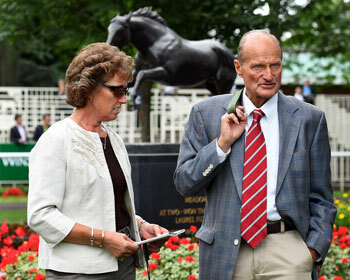 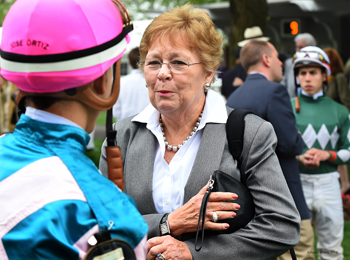 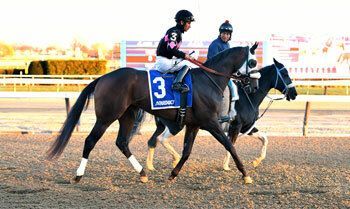 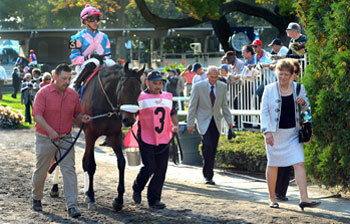 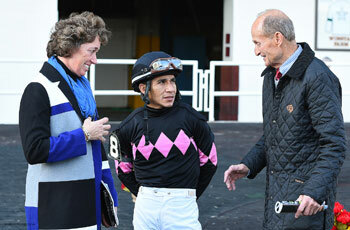 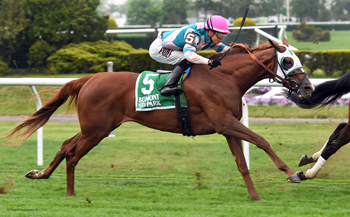 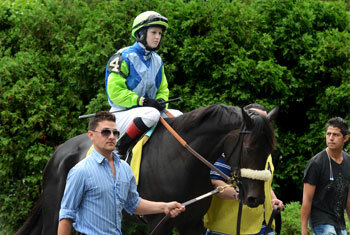 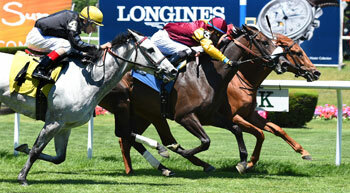 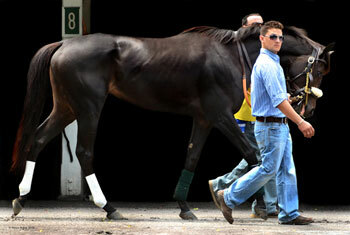 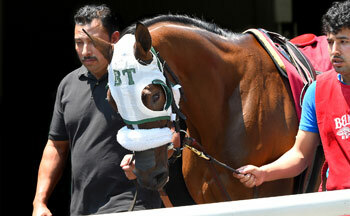 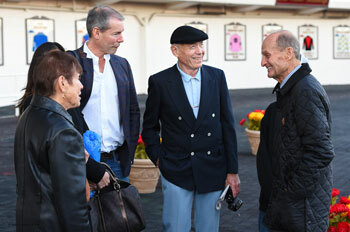 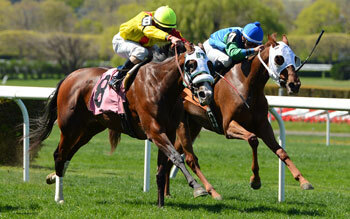 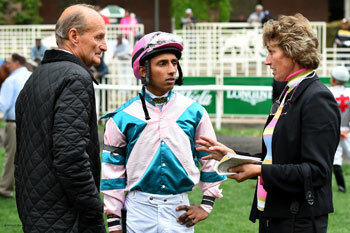 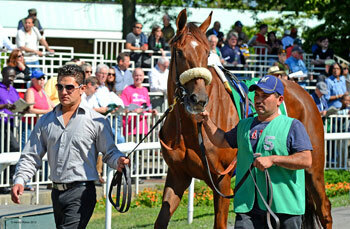 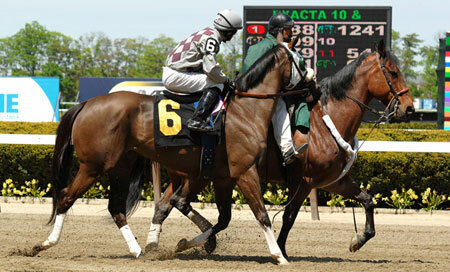 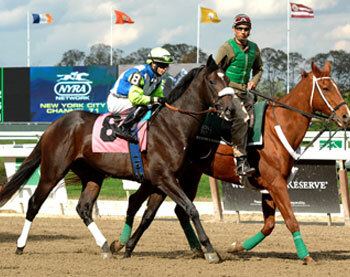 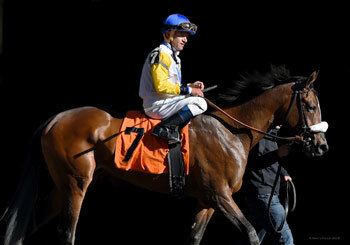 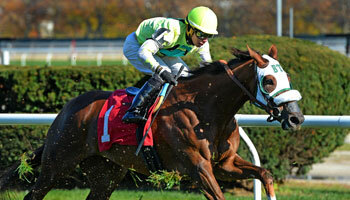 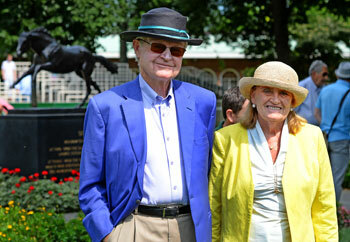 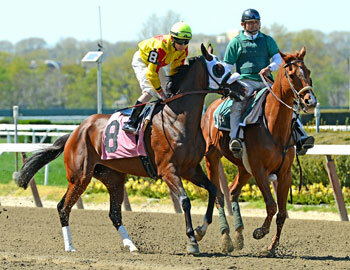 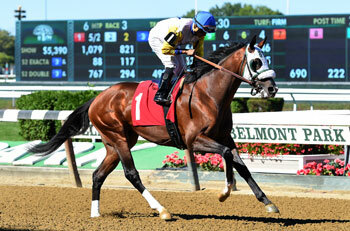 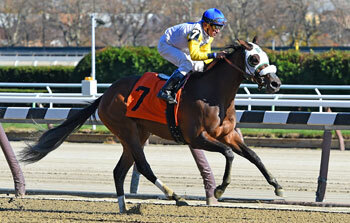 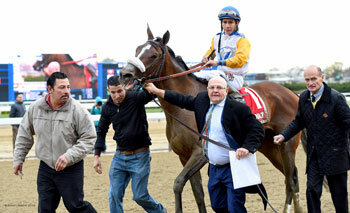 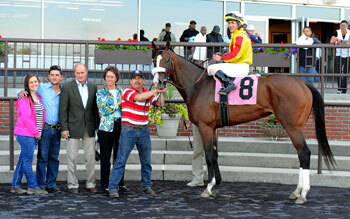 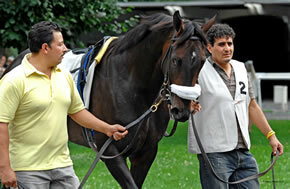 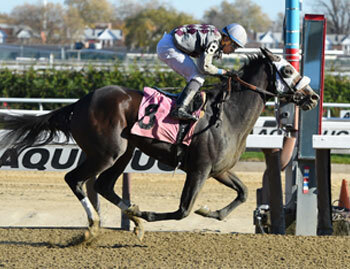 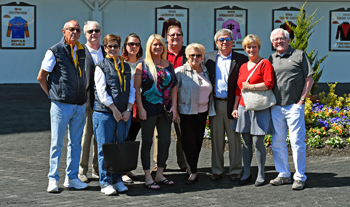 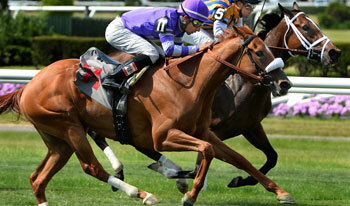 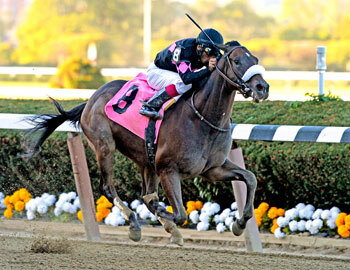 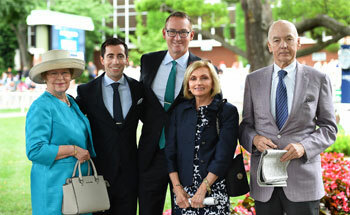 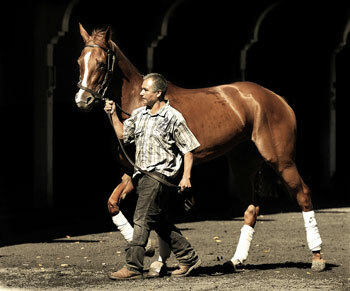 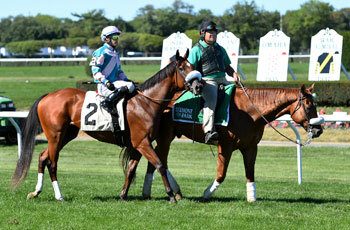 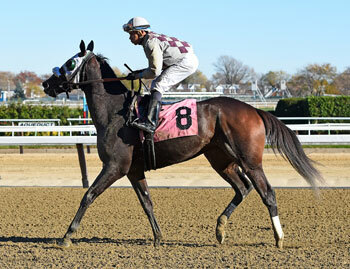 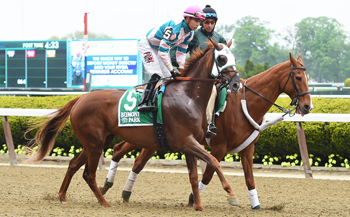 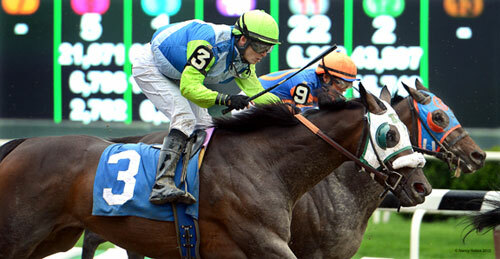 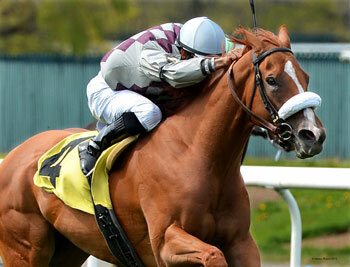 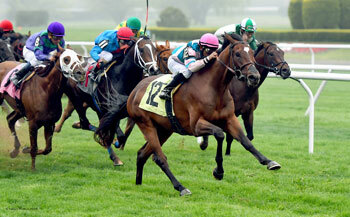 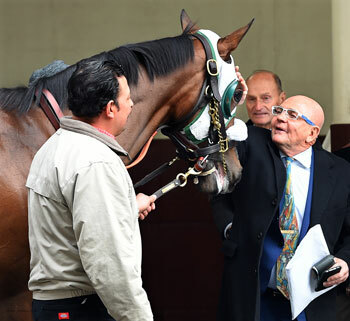 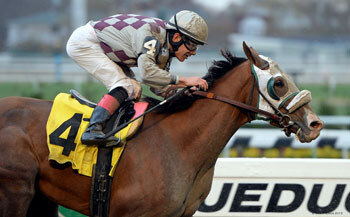 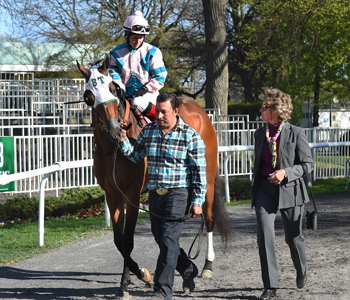 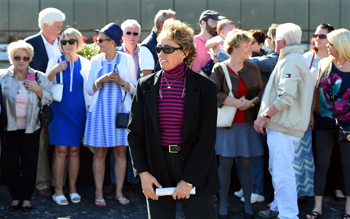 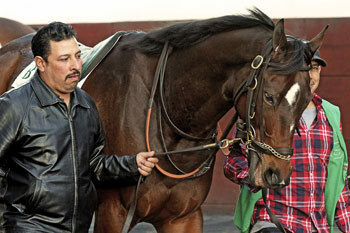 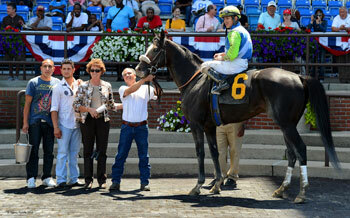 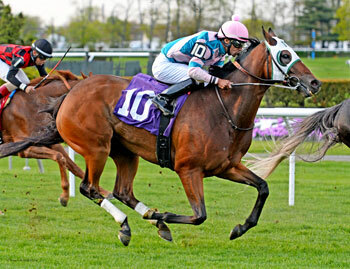 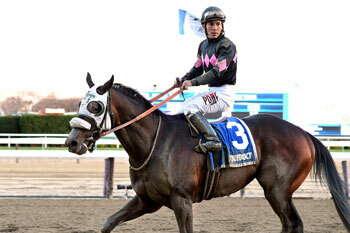 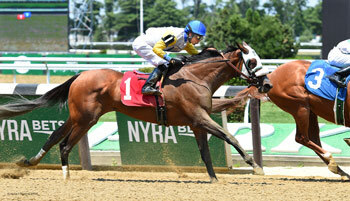 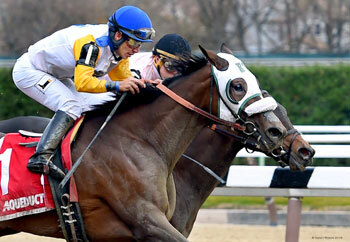 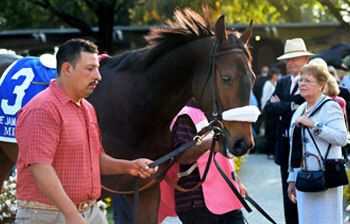 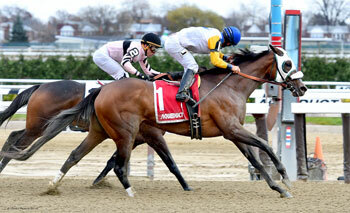 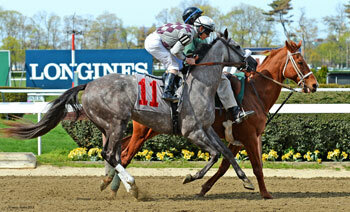 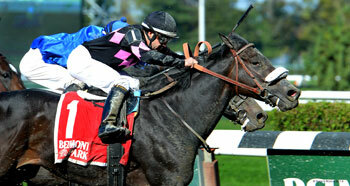 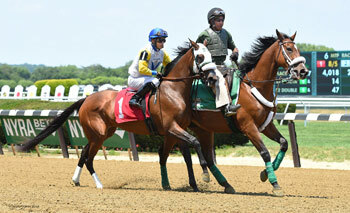 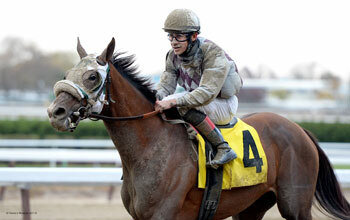 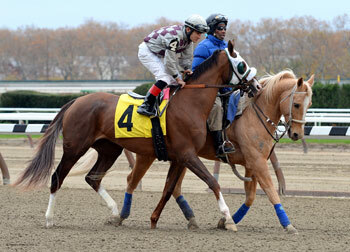 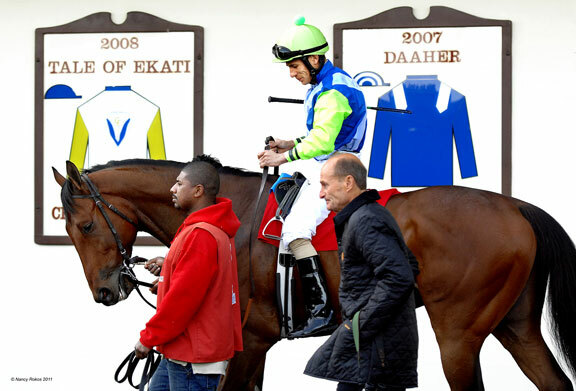 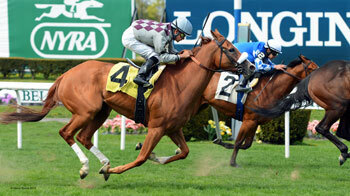 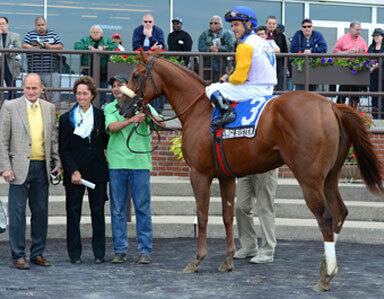 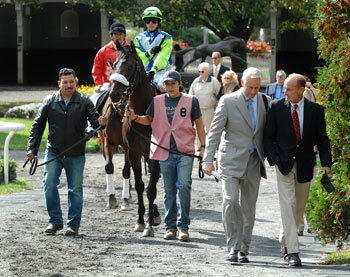 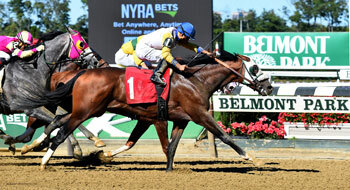 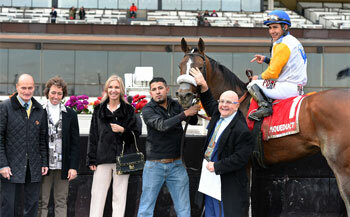 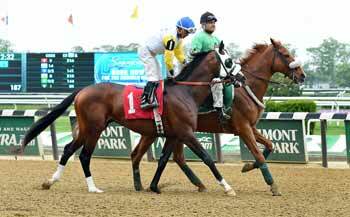 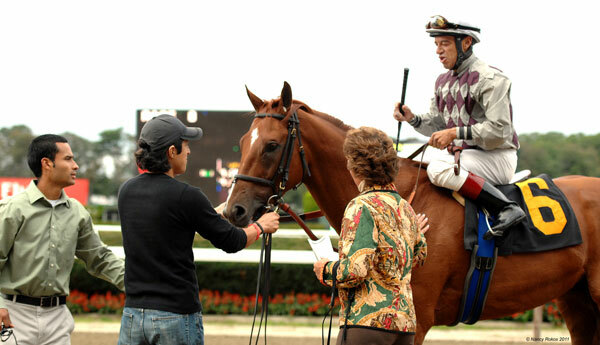 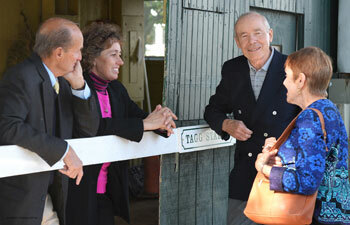 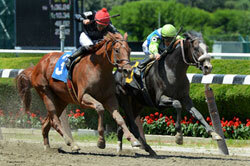 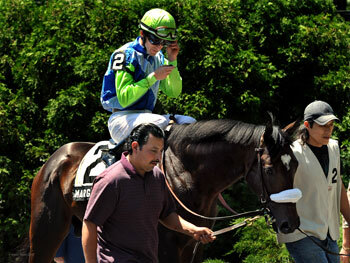 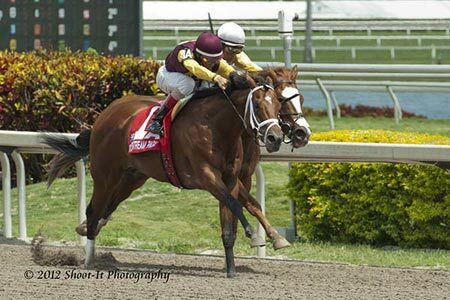 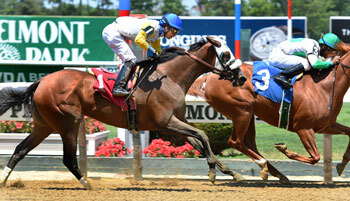 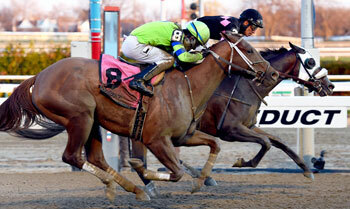 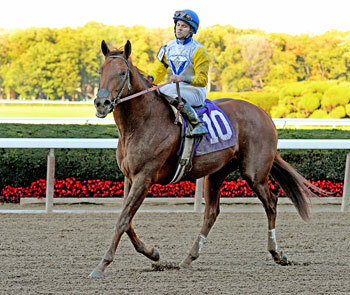 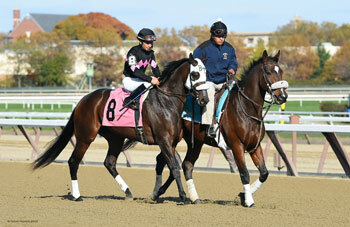 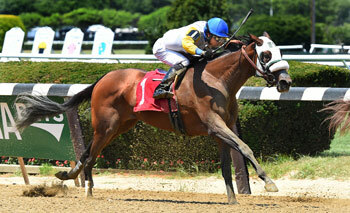 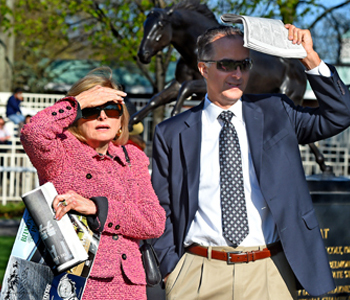 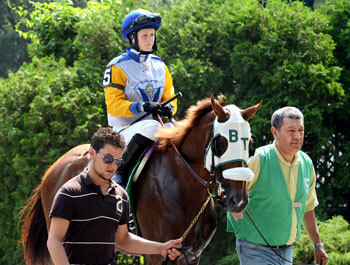 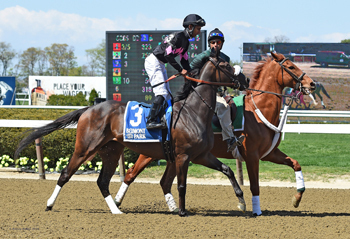 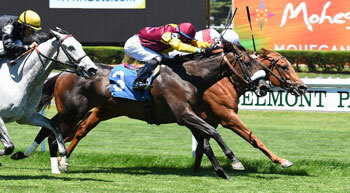 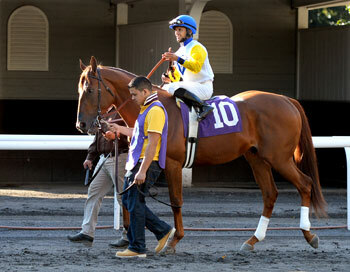 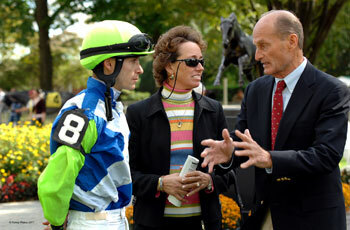 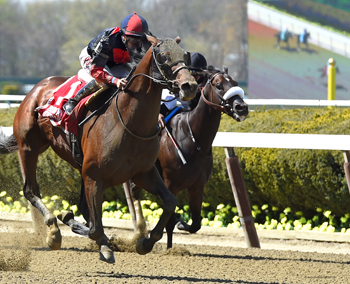 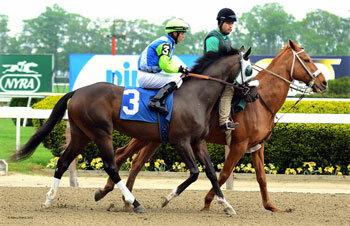 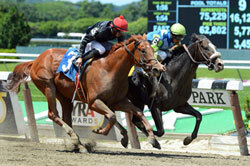 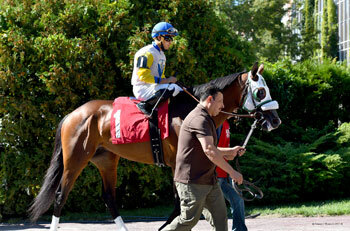 4/28/2013 - MSW MUNNING'S SISTER takes the Golden Princess S.
Sackatoga Stable's Stephen's Revenge at Belmont. 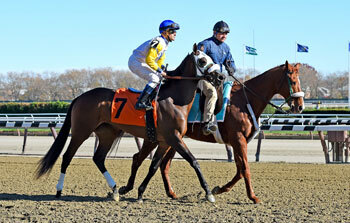 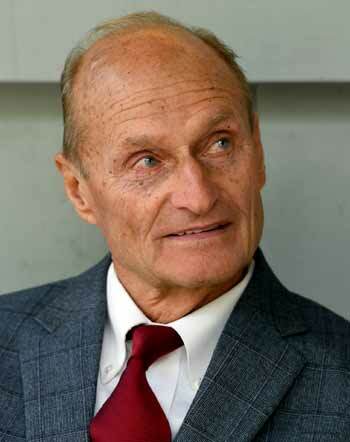 He closed with a strong kick to be second in allowance company going 1 1/8 on the turf. 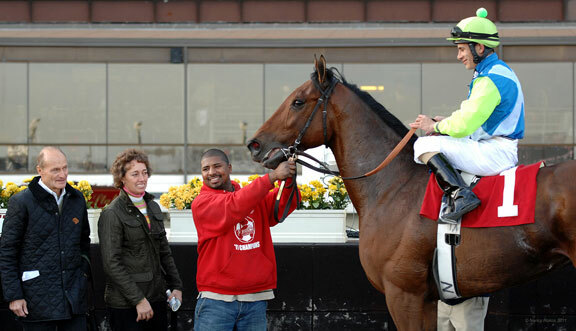 5/20/12/ - MARGANO in the Tiller S.
5/20/12/ - MARGANO gets ready for The Tiiler S.
11/19/2011 - Kindergarten Kid had to weave in and out and in again through the field, but he captured the Pay the Butler Stakes at Aqueduct. 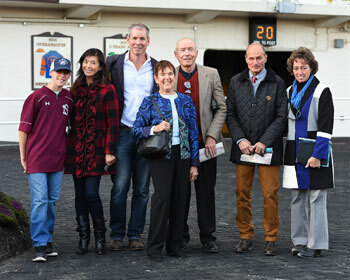 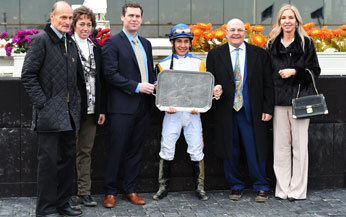 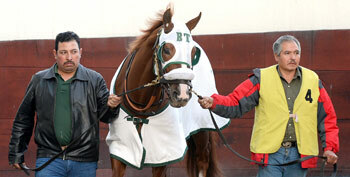 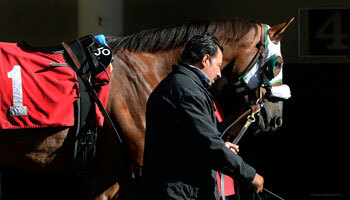 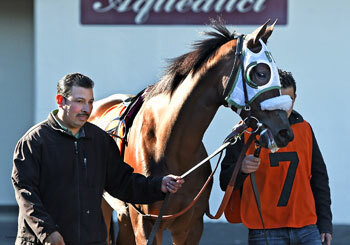 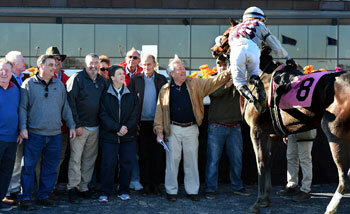 (among many other wins) in the Cigar Mile G1 which is commemorated here in the Aqueduct paddock. 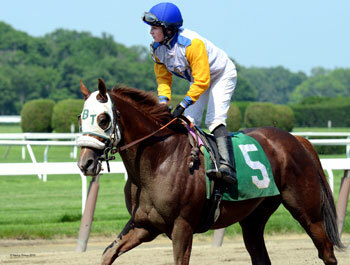 Here Kindergarten Kid has split horses and is driving for the wire. 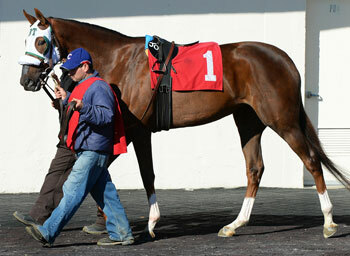 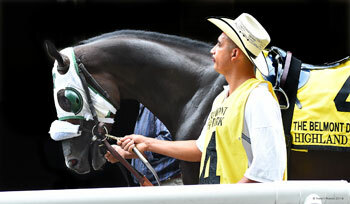 2 year old MARGANO goes 1 1/16 on the turf in his first start. 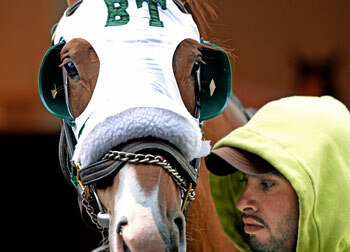 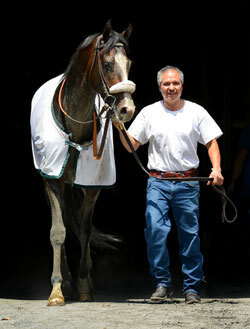 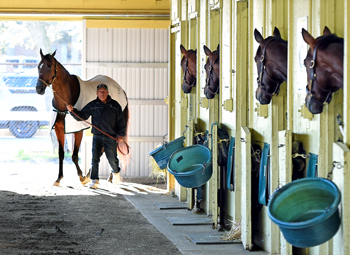 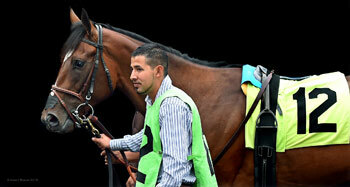 Margano broke a beat slow and found himself behind a wall of horses. 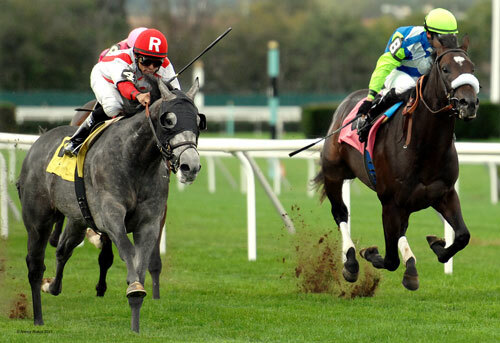 He was bumped and checked so hard he dropped into last place. 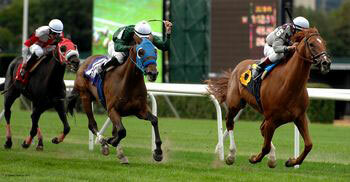 When he got racing room going wide in the stretch, he moved up well, but had too much to overcome. 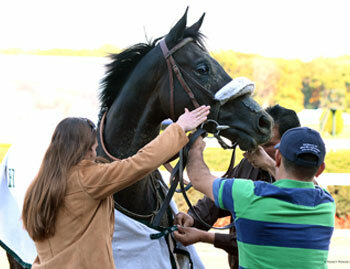 In spite of it, he was less than 5 lengths off the winner and he learned a lot from the race. 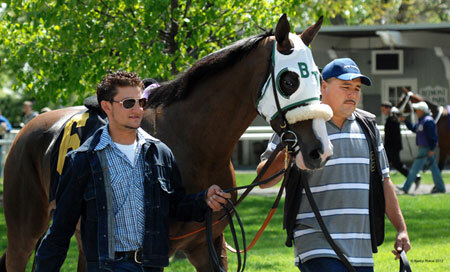 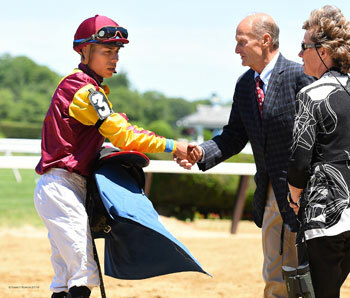 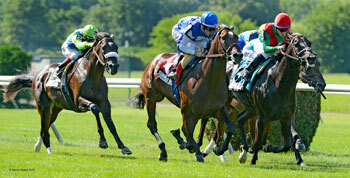 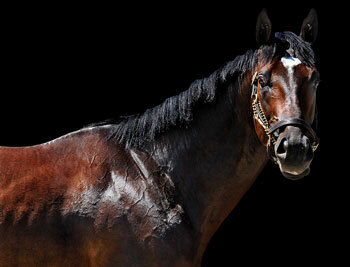 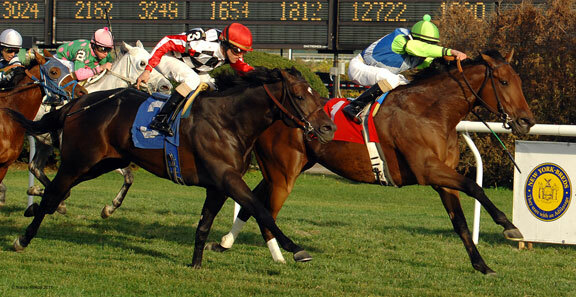 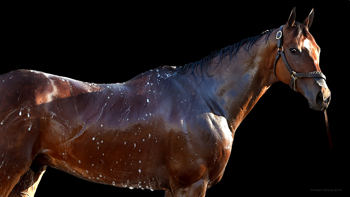 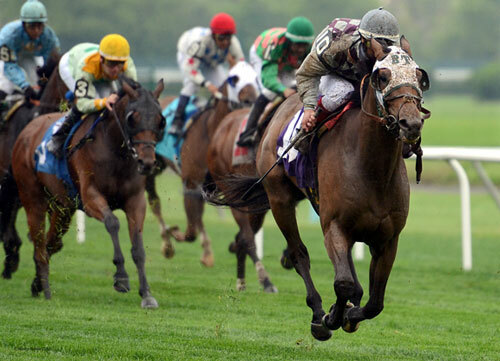 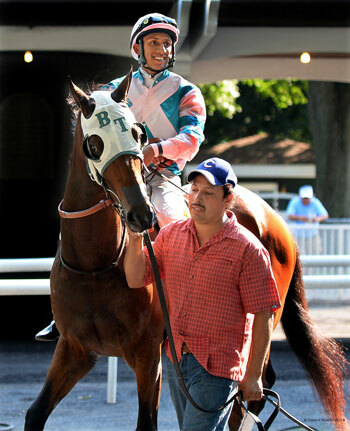 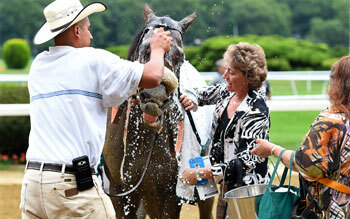 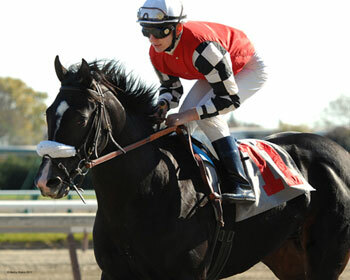 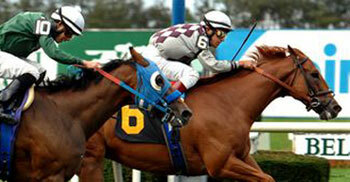 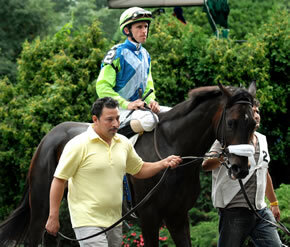 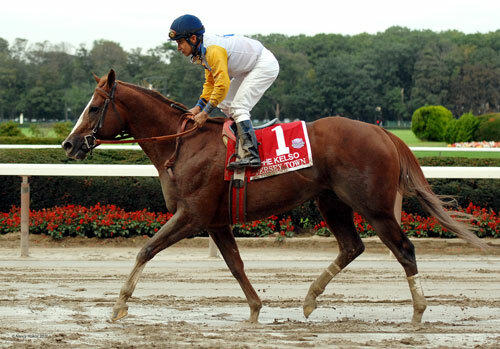 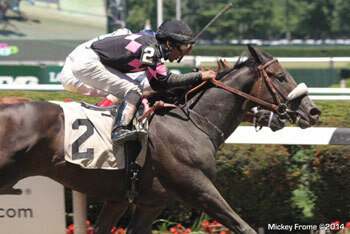 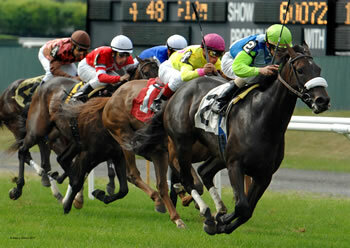 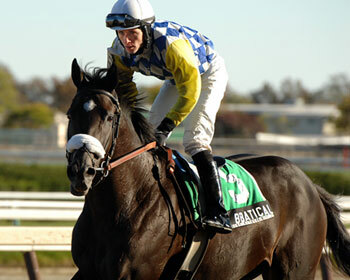 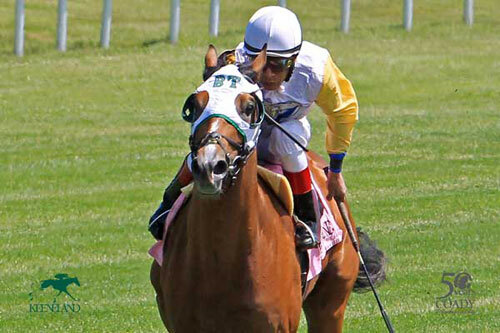 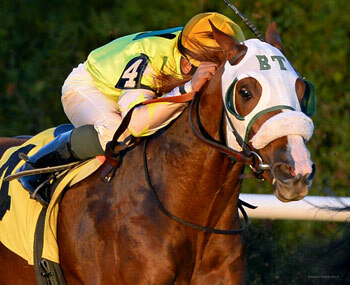 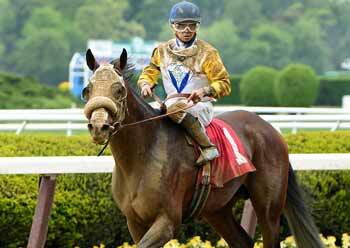 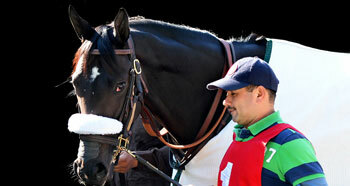 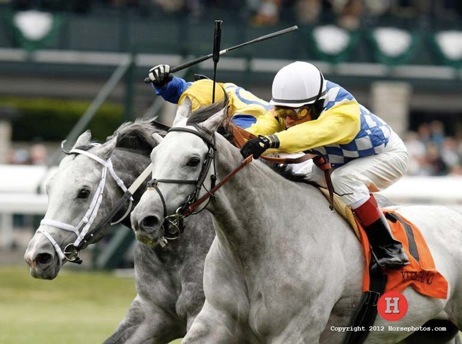 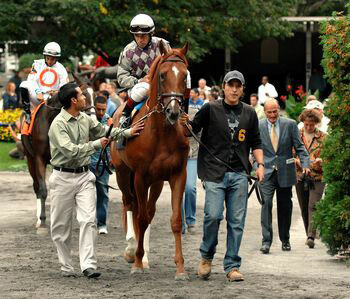 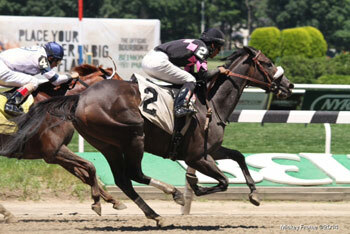 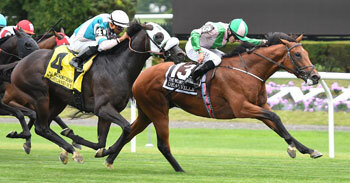 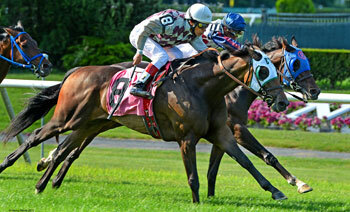 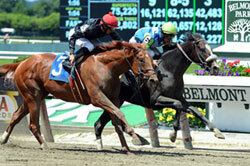 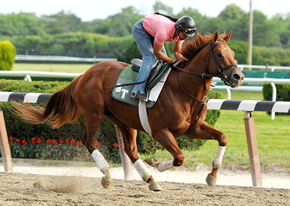 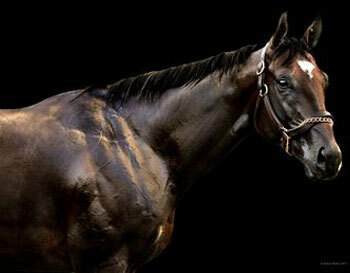 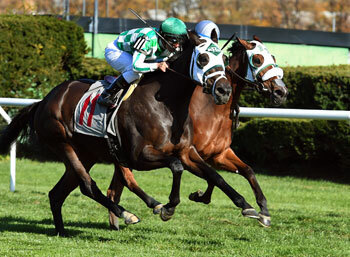 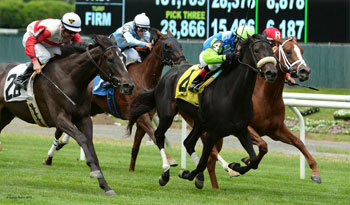 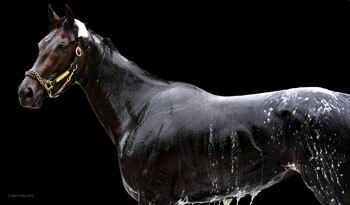 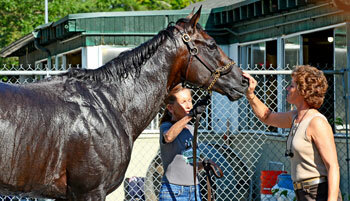 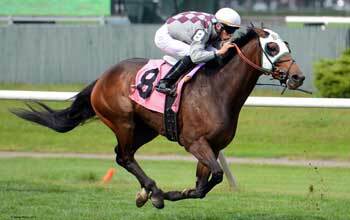 7/7/11 - BEAU CHOIX won the Rob n' Gin Stakes at Belmont Park - by a nose!!! 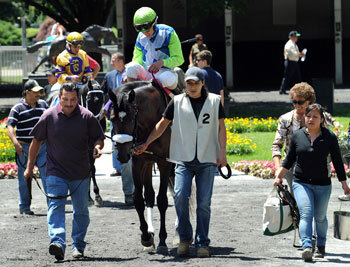 Nancy took a few shots of PARTING WORDS: Recording Stakes 7-2-11 - she finished 3rd.